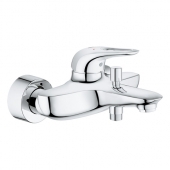 Soft roundings that merge elegantly to create comfort atmosphere - the design of Grohe Eurostyle line is natural, puristic and provides a perfect environment. 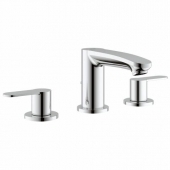 The result is a modern, unique look that gives your bathroom something timeless and scores with a very good value-performance ratio. 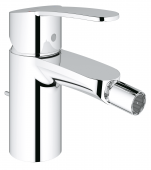 Due to the elaborate curves, the handles fit perfectly in your hand. With its strong and clear structure, Eurostyle meets the highest demands - namely yours! 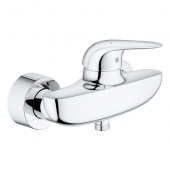 The washbasin faucets are mainly stand faucets, which are available in various sizes: S (163 mm), L (270 mm) and XL (334 mm). 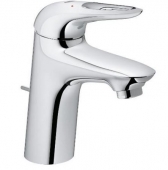 The L-size has different design than other sizes, namely a longer faucet body and the handle is mounted on the side. As an alternative to the stand faucets, you can take two-hole version for the wall faucet. 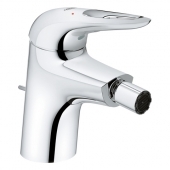 This one has 203 mm long spout, which takes up the basic shape of the spout in standing version. 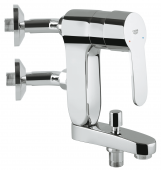 All washbasin taps are available in Chrome and Moon White. 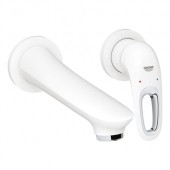 And you can also choose between open or closed handles (the handles can be purchased separately). 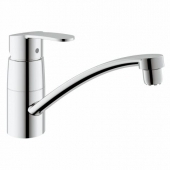 The open handle supports to the overall ergonomic shape of the faucets, the closed one brings clear structures into this production series. 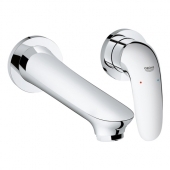 The bidet taps are available in Chrome and White. They have the same shapes as basin mixers. However, they have more compact size of 137 mm. 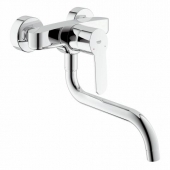 The handles are selectively as open or closed. Single-lever shower faucets are available for surface and flush-mounted installation. 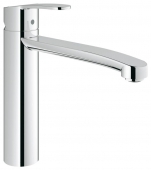 Both have round and dynamic forms and an open lever handle, optionally. The flush-mounted faucet sits on a round rosette and thus additionally takes up the ergonomic forms. 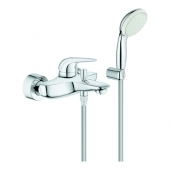 As for the shower, the range also includes surface-mounted and flush-mounted faucets for the bathtub. These also have the rounded design and open handle. 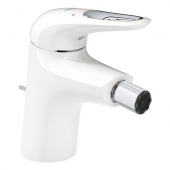 The Eurostyle series can be expanded in many ways. 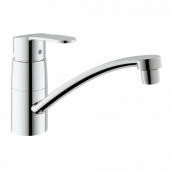 In Essentials series for example, there are several accessories that fit the Eurostyle products due to their round shapes. 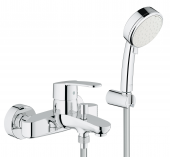 Further articles such as shower systems from the Euphoria Cosmopolitan series or shower heads from the Power&Soul can also be optimally combined.